Three Belmont alumni recently traveled to Lund, Sweden to begin a new ministry with Campus Crusade for Christ (Cru) at Lund University. Ryan Combs, Lizz Rickert and Kelly Vogel recently graduated from Belmont and joined a team, with other recent college graduates, for eight months that was led by two Cru staff members. 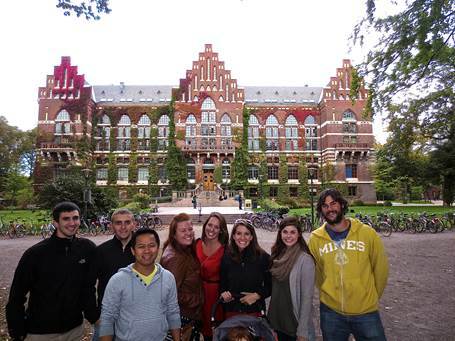 While in Lund, the students were immersed in Swedish culture and engaged students in genuine spiritual life formation. The movement they launched while there continues today and two other Belmont students, Hannah Struck and Nick Fisher, will be living in Lund this year to help build the ministry.